Back at MWC 2015 in Barcelona, Qualcomm teased the successor of the notorious Snapdragon 810 chipset, called the Snapdragon 820. We were told that the SoC would take advantage of the company’s own custom-designed 64-bit CPU cores, dubbed Kyro, and in recent days, it was revealed these cores would be clocked at up to 3.0GHz. 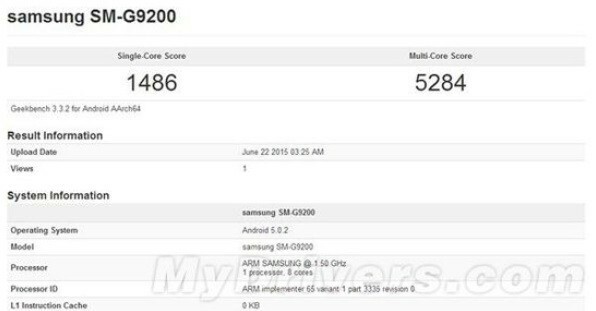 Well, this week, the Snapdragon 820 popped up in benchmarks, although the traces have been wiped clean since then. Luckily, the folks at My Drives (via GSM Dome) have managed to capture a screenshot showcasing the results in the benchmark tests. We’ve recently told you that the Snapdragon 820 will be built using Samsung’s 14nm node manufacturing technology, the same that was used in the construction of the Exynos 7420 powering the Samsung Galaxy S6. So, let’s see how the new silicone performs. Will the Snapdragon 820 clear Qualcomm's name? Snapdragon 820 was put through the Geekbench test, where it scored 1,732 points in the single core test and 4,970 points in the multi-core test. Now, let’s see how these results compare to the Snapdragon 810 inside the Xiaomi Mi Note Pro and the Exynos 7420 fueling the Samsung Galaxy S6. The Snapdragon 820 beat the single-core results of the Exynos 7420, which managed to score 1,486 points, and of the Snapdragon 810 that only grabbed 1,227. 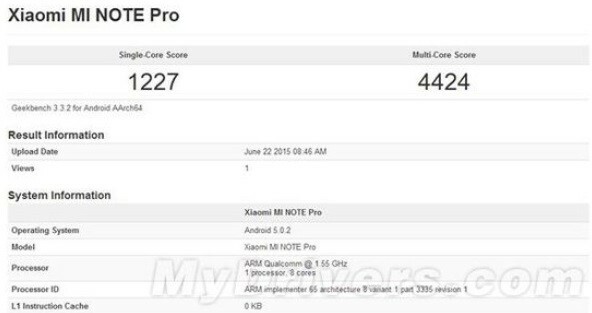 As for the multi-core test, the Snapdragon 820’s 4,970 topped its predecessor, which scored 4,424 points. 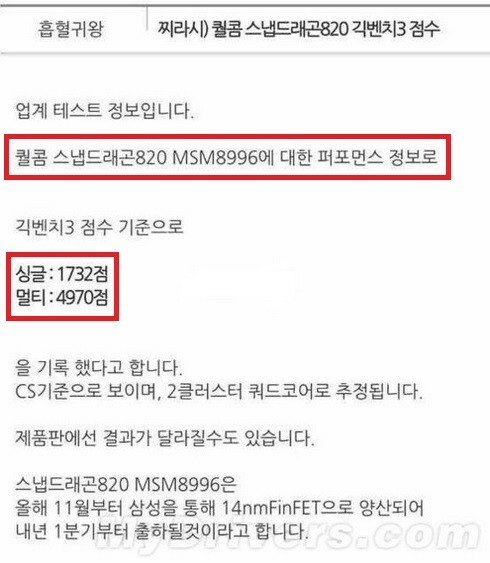 However, it failed to tower over the Exynos 7420 and its 5,284 score. Even so, judging by these test results, it seems that the Snapdragon 820 will be able to deliver decent performance, a lot better than the Snapdragon 810 at least. We expect the first mobile devices powered by Snapdragon 820 to start making an appearance on the market soon enough. Xiaomi’s next-gen flagships, the Mi5 and Mi5 Pro, are both rumored to make a debut with a Snapdragon 820 under the hood. Word on the street has it that LG is also working towards a ramped-up version of its current flagship, which will arrive in the wild as the G4 Pro and will bundle a Snapdragon 820 on the inside.